The 1902 King Edward VII Gold Matt Proof Five Pound Coin is in some ways unique because of it’s finish. 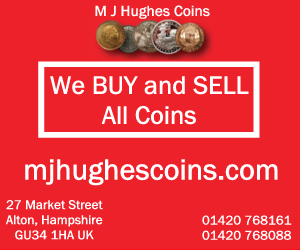 Instead of the normal highly polished proof finish this coin has a matt proof finish. Edward VII reined 1901-10 and for his Coronation in 1902 the Royal Mint issued an 11-coin (the short set) and a 13-coin set (the long set). 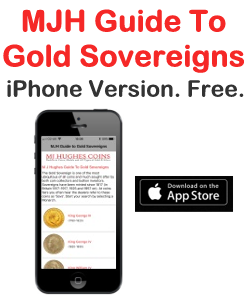 The 11-coin set was the current silver circulation coins plus Maundy, sovereign and half-sovereign. The 13-coin set added the £2 and £5. All the gold coins where struck with a matt proof finish which was an experimental finish at the time. Matt (often spelled Matte in the USA) is a textured finish, a sort of etched/sandblasted low-reflective surface. 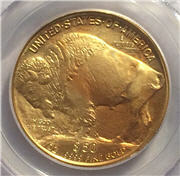 It was also popular on American gold proof coins in the early 20th century. It lost popularity soon afterwards. 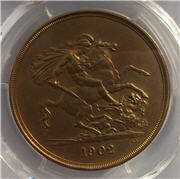 The 1902 Gold Matt Proof £5 Coin weighs 39.94g (equivalent to 5 sovereigns). 22 carat (91.67%) gold. 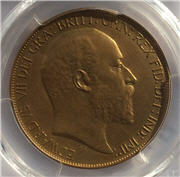 The obverse shows the head of King Edward VII and the usual Latin inscription. Below the head are the initials of the designer ‘De S’, G. W. De Saulles. The reverse is Benedetto Pistrucci’s George and the Dragon. 1902 was the only year when King Edward VII issued £5, £2 and Crowns.